A Blog by Paul E. Stepansky, Ph.D.
Can contemporary primary care physicians, or PCPs, actually be family physicians in the strong, traditional sense of the term? I’m referring not to scope of practice per se but to something more subjective and tenuous: the quality of caring. Among the generation of American GPs who trained during and immediately after World War II, the quality of caring was anchored in hands-on doctoring: it was instrumental and procedural. The family doctor was a good listener and explainer, but he or she listened and explained preparatory to doing things to the patient, to “doctoring” the patient’s body. In The Last Family Doctor, my tribute to my father’s medicine and the medicine of his cohort of postwar American GPs, I underscore the manual aspect of their doctoring. From the late 40s through the 70s, American GPs not only prescribed, ordered tests, and referred; they doctored through a laying on of hands (with all that entails). To be sure, there were far fewer procedures than today, and even specialty procedures were far less enmeshed in exotic technology. For this very reason, a highly motivated family doctor – a family doctor who, like my father, was both academically oriented and mechanically gifted – could acquire broad procedural competence across a range of specialties simply by reading the journal literature, taking postgraduate courses, and receiving hands-on instruction by surgical specialists on various office-based interventions. Consider office surgery. When I ask my family physician and others I have met whether or not they do office surgery, they typically evince mild chagrin and reply to this effect: “Only if I have to. It really messes up office hours.” My father’s medicine was different. He learned surgery as a surgical tech on the battlefields of France and Germany; during his rotating internship at a small community hospital in southeastern Pennsylvania; through a post-internship mentorship with a local surgeon; and then during a year-long course on minor surgery at Philadelphia’s Einstein Medical Center in the late 1950s. He did all kinds of office surgery – and he enjoyed doing it. Like countless GPs in agricultural communities of the time, he tended surgically to all manner of farm-equipment wounds. He reattached the first joint of countless fingers and toes. He was skilled at performing nerve blocks. He did successful skin grafts. This was rural general practice in the 50s and 60s. The caring of a family doctor who actually doctors – who treats you and, where possible, fixes you – is different from the caring of a family doctor who exams, prescribes, orders studies, manages risk factors, and coordinates multi-specialty care. In my father’s day, patients felt well cared for; today, more often than not, they feel well managed. I am not suggesting for an instant that contemporary PCPs do not care about their patients. Of course they do. But fewer and fewer procedural tributaries flow into their caring. Increasingly their training – and the caring it sustains – is cordoned off from the laying on of hands in medically salient ways. So we end up with PCPs who are touted as gatekeepers to the health care system; as “a kind of case manager” or “central coordinators of care” (Acad. Med., 77:2002, p. 771); and, more grandiloquently still, as “an essential hub in the network formed by patients, health care organizations, and communities” (Ann. Int. Med., 142:2005, p. 695). Hmm. Empirical research suggests that the majority of patients (90% by one account) continue to have trusting relationships with their doctors, and that trust is the “basic driver” of patient satisfaction (Med. Care, 37:510, 1999; Milbank Q., 79:631, 2001). Patients who trust their doctors tend to have less treatment anxiety and greater pain tolerance (Sci. & Med., 13A:81, 1979); they are more likely over time to be satisfied with the care they receive. But there are different kinds of trust. Can the trust associated with managing, coordinating, and being an “essential hub” approximate the trust that grew out of, and was sustained by, a range of doctoring activities – suturing, delivering babies, doing basic dermatology, gynecology, ENT, allergy testing and allergy treatment? Trust that has bodily moorings tends to be deeper and more sustaining than the disembodied trust of care coordinators, just like the most vital and enduring of the metaphors that enter into our everyday speech – the “metaphors we live by,” to borrow the title of a classic book by the linguists George Lakoff and Mark Johnson – tend to be rooted in phenomena and relationships in the physical environment. When it came to forging trusting bonds with their patients, my father’s medicine – which lives on among American and Canadian family physicians trained to care for rural and/or underserved populations – had a leg up (indeed, an entire torso up) on contemporary primary care providers. They doctored from infancy onward and from the body outward, so their patients were left not only with the knowledge of being well managed but with the feeling of being well cared for. Contemporary providers cannot care in the manner of my father’s generation, for their caring is legally, procedurally, and educationally constrained in ways that were alien to GPs of the mid-twentieth cenury. Like all physicians, PCPs are subject to clinical practice guidelines, treatment eligibility criteria, and reimbursement schedules. Now insurance carriers, relying on credentialing organizations, effectively determine the range of procedures and interventions a given doctor may employ. So in most American and Canadian locales, contemporary PCPs differ from family doctors of my father’s generation because third-parties largely determine the kind of medicine they may even aspire to practice. These claims admit important exceptions, and we shall discuss them in future blogs. There are PCPs trained to serve rural communities: graduates of Jefferson Medical College’s Physician Shortage Area Program; the University Minnesota School of Medicine’s Rural Physician Associate Program; and the Maine-Dartmouth family medicine residency who work out of Augusta’s Family Medicine Institute. Copyright © 2011 by Paul E. Stepansky. All rights reserved. This entry was posted in Family Doctors, Then & Now, Primary Care. Bookmark the permalink. This synopsis of some of the changes in modern medical practice clearly captures prevailing trends affecting much more than medicine as we move forward. A study of the life’s work of the family physician of yesteryear no doubt bears a strong similarity to the loss of the ‘general practitioner’ in so many walks of life and is well worthy of contemplation in what can seem to be an age of dysfunction. Such a reflection surely holds many valuable lessons. Enter your email address to follow "Medicine, Health, and History" and receive new posts by email. The Neuro Times ~ A treasure trove of information, engagingly presented, about history of neurology and the neurosciences. The Last Family Doctor: Remembering My Father's Medicine ~ A memoir about a remarkable family physician and an earlier era of medicine. Antique Medical, Surgical, and Dental Instruments ~ Superb collection of old and strange medical devices, beautifully photographed. Digital Public Library of America ~ Knits together the holdings of major American libraries and archives into a single searchable collection. A scholarly feast. Medical Museion (University of Copenhagen) ~ Wonderful images, exhibition notes, and commentaries from this marvelous place. The Artwork of David Newman ~ The powerful and provocative paintings of the author of “Talking with Doctors” (Keynote Books, 2011). The Illustrations of Yuko Okabe ~ A generous sampling of the sparkling work of this remarkably gifted young illustrator. The Jewelry of Andrea Schettino ~ The online presentation is as exquisite as the handcrafted jewelry itself. 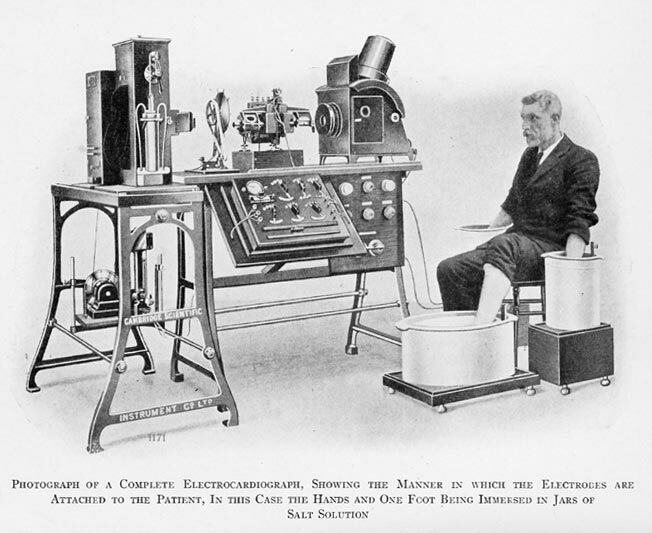 James Mackenzie’s clinical polygraph of 1892 (show here in a refined version of 1914) permitted simultaneous tracings, via separate receivers, of the radial, venous, and arterial pulses. Used in conjunction with an even lower-tech instrument, the stethoscope, it allowed Mackenzie to make the first diagnosis of “auricular paralysis,” i.e., atrial fibrillation, in 1898. 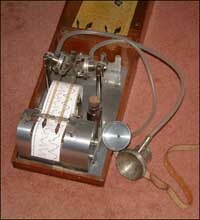 The string-galvanometer EKG machine developed by Willem Einthoven between 1900 and 1903. All its key components relied on technologies that only became available in the 1880s. 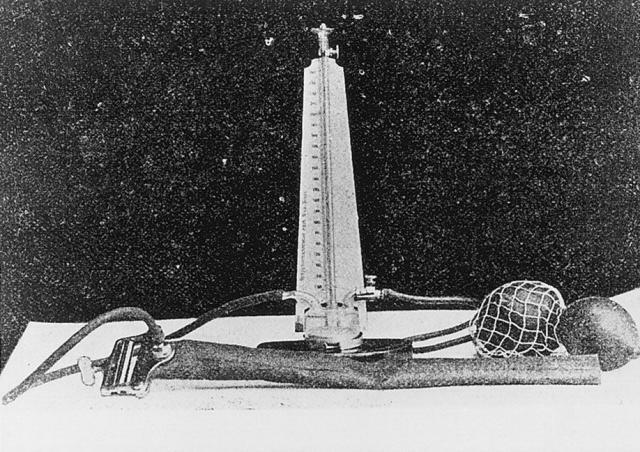 The machine initially confirmed clinical diagnoses of atrial fibrillation and heart block, but came into its own after James Herrick described EKG changes in myocardial infarction in 1918. 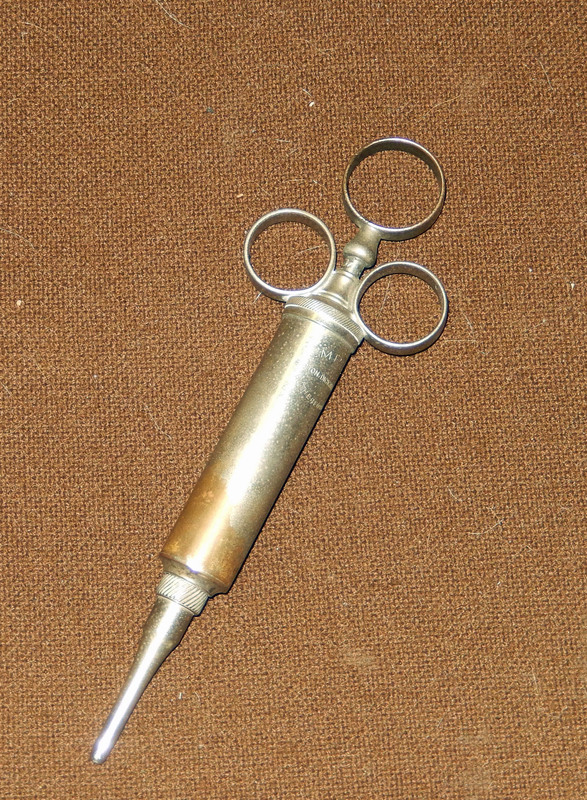 The Becton-Dickinson all-metal "Empire," a general utility syringe, was available in sizes from .25 to 8 ounces. 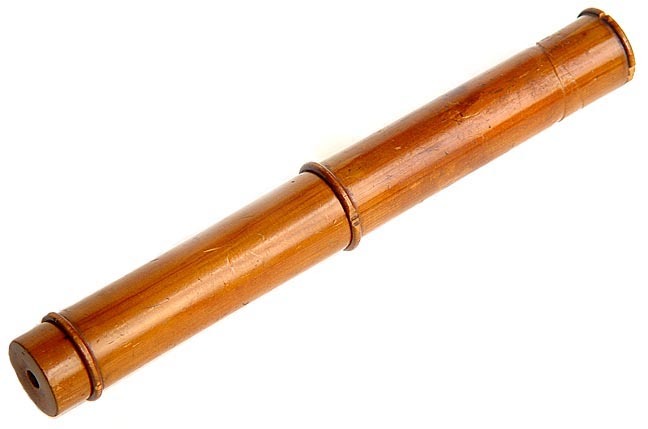 It first appeared in the B-D catalog of 1911, where it was offered with a variety of tips for all manner of irrigation (nasal, ear, intra-trachael, intra-venous, urethral, and rectal). Following the Mauritian physiologist Brown-Séquard’s report on the rejuvenating effects of testicular extract of 1889, physicians began prescribing extracts of the glandular organs of animals to remedy problems associated with the corresponding organ in the human body. Parke, Davis’s “desiccated ovarian residue,” in capsule form, was prescribed in the early twentieth century for conditions associated with ovarian dysfunction, especially menstrual disorders.